Humanity’s materialistic society has left Earth uninhabitable. A powerful mega-corporation – Buy-N-Large – offered resort-like spaceships for humanity to live on while they left behind an army of solar-powered trash collection robots to clean up the mess. Fast forward seven centuries, and Wall-E is the only surviving trash robot left. He continues to do his job, kept company by a cockroach who has also managed to survive the end of civilization. Wall-E’s life is abruptly interrupted by the arrival of Eve, a BNL (Buy-N-Large) probe meant to search for any signs that life is returning to Earth. 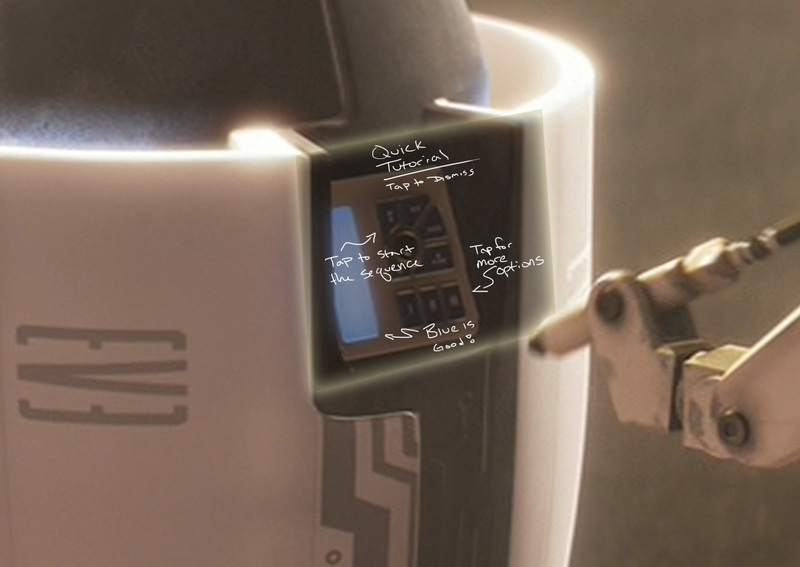 After becoming emotionally attached to Eve, Wall-E shows her a plant he found during his trash collection. She “freaks out”, collects the plant, and leaves the planet. He follows her back to her home and what may be the last surviving outpost of humanity: the Axiom, an all-inclusive lifeboat and pleasure cruise that has been waiting to return to Earth for 700 years. Aboard the Axiom, Wall-E opens the eyes of people who have become so accustomed to having every wish granted to them by BNL that they have stopped doing anything for themselves. Eve and Wall-E fight the Axiom’s autopilot and security systems for the plant, and draw in the humans aboard the Axiom to the fight. After the people on board the Axiom realize that they need to start doing things for themselves, they are able to deactivate the Axiom’s deceitful autopilot and trigger the ship’s return mode to land back on Earth. Wall-E, Eve, and the other robots of the Axiom then help people rebuild civilization on an Earth that is beginning to heal. Posted in WALL•E (2008), ~ Overview. Now this this exciting. Scifiinterface.com’s first guest review begins this week! That’s right, someone took a look at the terrifying Contribute! page, and stepped up to the sci-fi plate! So with no further ado, let me introduce Clayton Beese, and share his answers to a few questions I posed to him. Hi! I’m Clayton Beese, a User Experience designer from Overland Park, Kansas, and I’m someone who is drawn to the idea of storytelling as a very basic human activity. Outside of work I bike, I’m an amateur writer, I am usually the designated photographer on family trips, and I like taking random classes in things like rock climbing, blacksmithing, and Tai Chi to see what they’re like. Science fiction has always captured my interest because it asks questions about our needs as people, and what we want to see out of our future.